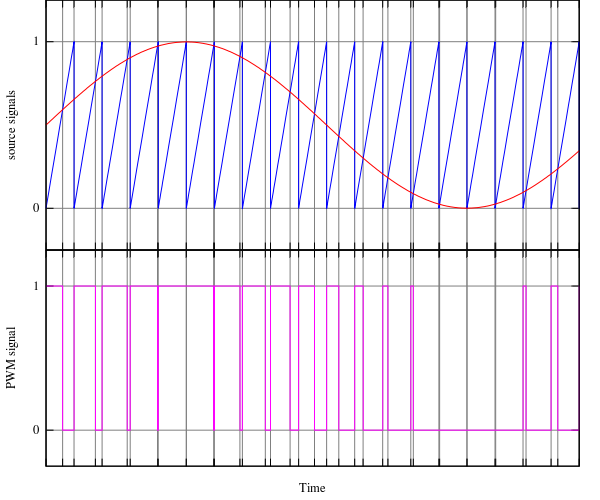 In short PWM simply does modulation of the duty cycle in accordance with the amplitude of message signal & a comparator reference sawtooth wave. In addition to the Display use, it find use in communication systems, voltage regulators such as Switched Mode Power Supplies (SMPS) to control the power delivered to the load, LED circuits (particularly of fading Effect), Motor Speed Control etc. 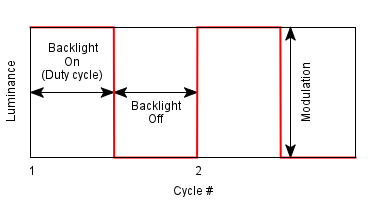 axis([0 1 0 1.1]); %to keep the pwm visible during plotting.